Planning a trip to London? Before you jet off, learn more about some of the fantastic attractions and experiences found across the city. From interesting cultural exhibitions through to incredible historic sites and unforgettable views, there’s so much to see and do across this vibrant city. 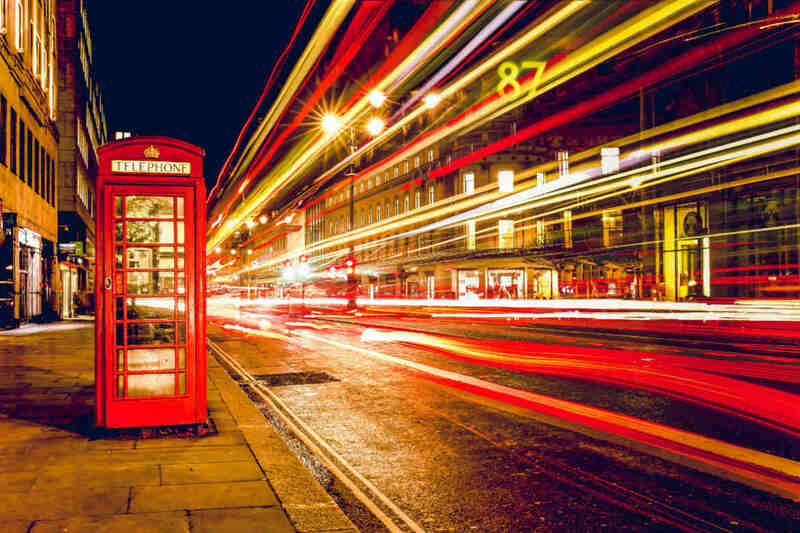 Check out our top 10 things to do in London! From small private galleries through to world-class art collections, London is lucky enough to house a lively visual arts scene, with an exhibition on show to match almost every taste. Make your way to the National Gallery in Trafalgar Square to feast your eyes on one of the world’s greatest collections of paintings, including works by Van Gogh, da Vinci and Rembrandt, or spend the afternoon admiring the national collection of British art, dating from the 16th century to the present day, at Tate Britain. If you’re more of a modern art lover, the Tate Modern gallery is the place to head, with the expansive collection of modern and contemporary works sure to cure any art cravings. National Gallery, London, England. Image Credit: National Gallery. If you love a spot of retail therapy, you’ll definitely be spoilt for choice during a visit to London. From eclectic weekend markets through to high end retailers, the city has almost every budget and shopping preference covered. Head to Harrods or Selfridges & Co to experience the extravagance of London’s iconic department stores, browse through the racks of Oxford Street’s high street chains, or spend the morning perusing the stalls of Spitalfields Market, Camden Market or Portobello Road Market for vintage goods, homewares and more. Harrods, London, England. Image Credit: Mario Sánchez Prada / CC by SA 2.0. As one of the world’s leading cities, it comes as no surprise that London is home to a number of world class museums. Documenting everything from Britain’s war involvement (Imperial War Museum) through to human history, art and culture (British Museum), and fascinating scientific specimens (Natural History Museum), they provide a great opportunity to get to know more about British history and the world around us. You’ll find an impressive number of permanent exhibitions on show, as well as a packed calendar of special exhibits. Located on the northern bank of the River Thames, the Tower of London holds a fascinating history spanning close to 1,000 years. Starting out as a fortress used by William the Conqueror, the historic building has spent time as the Royal Mint, the Royal Armouries, the site of gruesome torture and executions, and even a zoo! Now the home of the Crown Jewels, the iconic Yeoman Warders (colloquially known as Beefeaters) and a legendary flock of ravens, the Tower of London displays a fascinating collection of exhibitions, with informative tours also available. Tower of London, London, England. Image Credit: David Stanley / CC by 2.0. Serving as the London residence of Britain’s kings and queens since the reign of Queen Victoria, Buckingham Palace is perhaps best known as one of the official homes of Queen Elizabeth II. Guarded by the unflinching Queen’s Guard and their tall bearskin hats, the grand scale and impressive design of the building is an amazing sight to behold. If you happen to be interested in seeing more of the palace, the ornate State Rooms are open to visitors for 10 weeks during summer, as well as on a few days through winter and spring. Buckingham Palace, London, England. Image Credit: David Illif / CC by SA 3.0. Whether you happen to be visiting London for the very first time or are looking for an opportunity to soak up your surroundings from a different perspective, there’s nothing quite like taking the time to enjoy the beauty of the city’s skyline. Tourist attractions and viewing platforms, such as the London Eye and The View From The Shard, offer amazing inner-city views, while secluded spots such as Primrose Hill, found on the northern side of Regent’s Park, provide great views without the crowds. Primrose Hill, London, England. Image Credit: Louise Ireland / CC by SA 2.0. Opened in 1997, Shakespeare’s Globe is a modern reconstruction of the Elizabethan era Globe Theatre, a playhouse commonly associated with famed English playwright, William Shakespeare. Built following careful research into the original building and the architecture of the time, the open-air theatre features a lively program of performances, workshops, exhibitions and readings throughout the year. If you happen to be planning a visit in the cooler months, be sure to rug up as the main theatre does not have any heating or air conditioning. Shakespeare’s Globe, London, England. Image Credit: Martin Pettitt / CC by 2.0. Best known as London’s theatre district, the West End is the place to head to see world class plays and musical productions. Performed by some of the theatre world’s leading talents, there’s certainly no shortage of shows to choose from, with the area’s theatres featuring everything from Shakespearean tragedies and pop culture favourites through to the works of up-and-coming playwrights. Depending on the production you choose to see, you may even be lucky enough to see some of the biggest names in acting tread the boards, with much-loved actors, such as Sir Ian McKellen, performing on occasion. Hamilton West End, London, England. Image Credit: Delfont Mackintosh Theatres. Said to be one of the world’s most diverse cities, London is home to a variety of cultural groups originating from right across the world. There are plenty of ways to enjoy a taste of these cultures, but perhaps the easiest way to do so is through your stomach. Head to Brick Lane for a touch of spice and an Indian curry, stop by Chinatown for authentic Asian fare filled with flavour or make a beeline for one of the Caribbean eateries scattered throughout the city for a meal with some serious kick. Brick Lane, London, England. Image Credit: James Cridland / CC by 2.0. Close to Buckingham Palace, St James’s Park is the perfect place to head to take some time out and escape the hustle and bustle of Central London. The city’s oldest Royal Park and the backdrop to spectacular royal pageants and celebrations, the park features a picturesque lake, plenty of quiet spots and a resident population of pelicans. Throughout the park, you’ll find a number of statues and memorials paying tribute to some of the country’s most famous historical figures, as well as the Diana Princess of Wales Memorial Walk, which leads into Green Park, Hyde Park and Kensington Gardens. St James’s Park, London, England. Image Credit: Colin / CC by SA 3.0. Ready to set out on your own London adventure? Find and compare cheap flights to London with Webjet today!